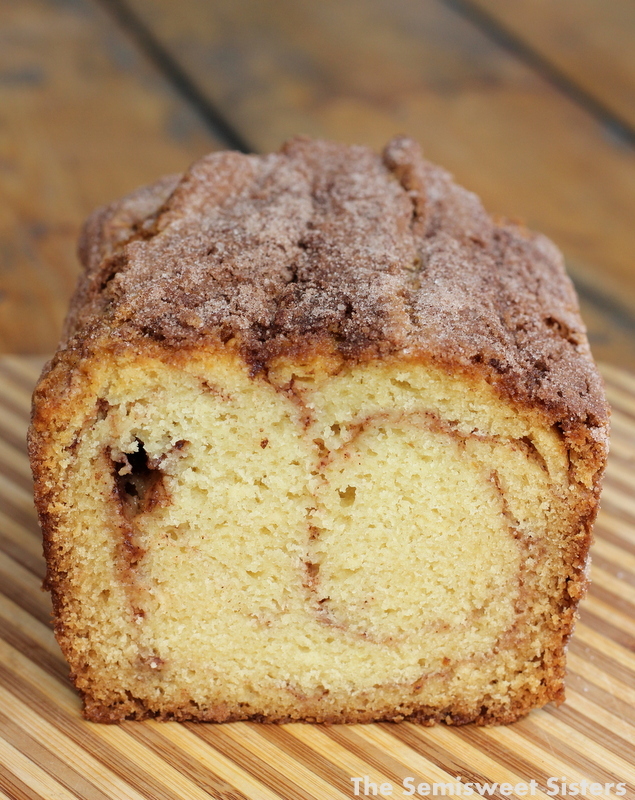 Quick Amish Cinnamon Bread Recipe: It’s moist, sweet, tasty, & loaded with cinnamon & sugar. I don’t know about you but I love eating Amish Friendship Bread but I don’t love having to wait 10 days before I can eat it. It’s such a long process & although it tastes incredible I find it to be a big hassle so I never make it. I love this alternative recipe because you can whip it up in no time & enjoy it the same day! It makes a great breakfast & tastes marvelous smothered with butter or plain (seriously, it doesn’t even need butter to taste scrumptious). It’s a quick and easy Amish Friendship Bread Alternative. No 10 day wait. You just mix it up & bake it. It’s moist, sweet, tasty, & loaded with cinnamon & sugar. Swirled with cinnamon & sugar on the inside. 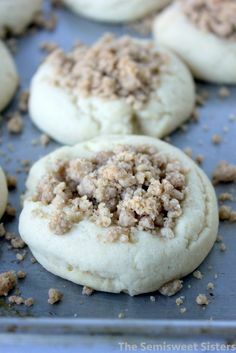 Topped with cinnamon & sugar on the outside. Pour ½ of batter into a greased loaf pan. In a separate bowl mix ⅓ cup sugar and 1 teaspoon of cinnamon together to create the cinnamon/sugar mixture. Sprinkle ¾ of the cinnamon/sugar mixture on top of the ½ full pan. Add remaining batter to pan; sprinkle with rest of cinnamon/sugar on top. Swirl batter using a knife (You can use a butter knife to make long horizontal swirls or swirl however you like). Let cool in pan for about 20 minutes before removing. Recipe Source: this recipe was adapted from Redfly Creations. 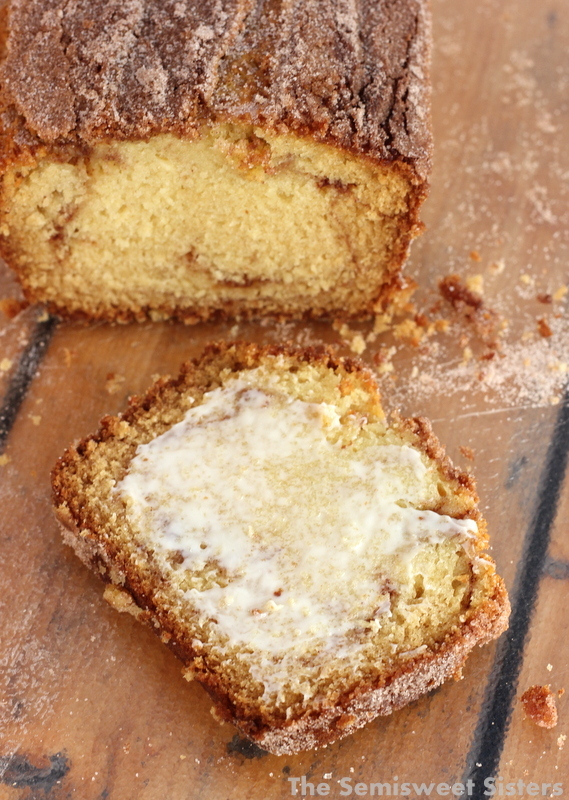 I’ve never heard of Amish bread, but I love coffee cake and this looks just like one. 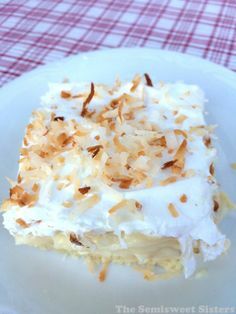 It looks so moist, I’d love to try a slice, or two haha. 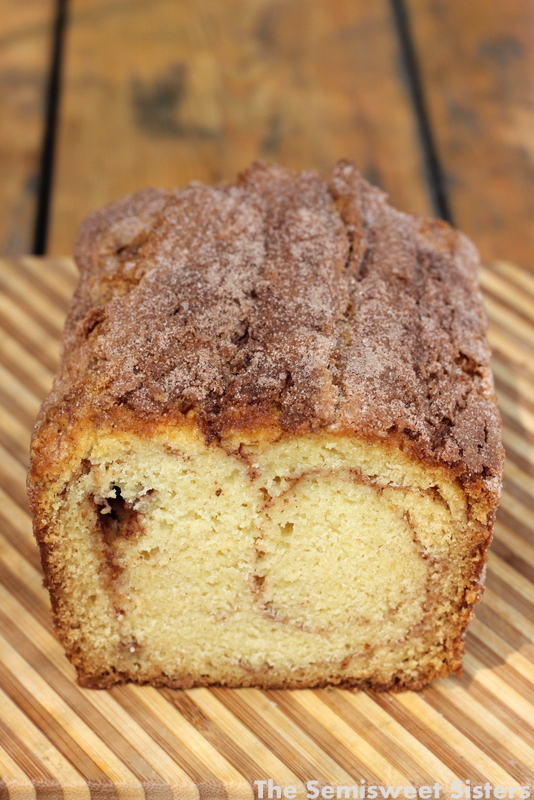 I love coffee cake too, this recipe is similar to one. I love to have it for breakfast. Me too! Thanks, I hope you like the recipe if you try it. thank you :). I actually went ahead and got a 9×5 and it came out perfect, so I was just using too small of a pan. But do you happen to know how long it keeps? 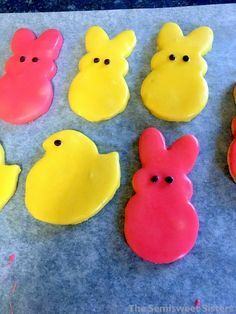 I want to make some as gifts for people but I’m wondering how long it stays good. Any idea? I’m so glad it turned out this time for you! I’m not positive how long it will keep for, I know I’ve eaten it 3 days later & it tastes fine. I think the loaves would freeze well if you plan on making them ahead of time you could try freezing them so they stay fresh. I love this recipe. It is so simple to make and everyone really likes it. I add pecans sometimes. I use 8 small loaf pans, but cut the baking time to 30 minutes. I do freeze them. Great for small gifts. Hi Joann, I’m glad you like the recipe! 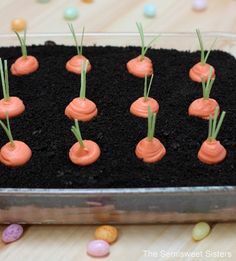 I love the idea of making mini loaves, I’m going to have to try that! I made this today and after letting it cool out of the pan for about 20 minutes i cut into one of the loafs and it just fell apart. What did i do wrong or did I just not wait long enough? Hello Jerry, I have never had any issues with it falling apart when cut. How sharp was the knife you were using to cut it? If your using a dull knife it could cause the bread to crumble. Also waiting until it is completely cool and at room temperature would help. Saw this recipe yesterday and made it today, absolutely delicious! It smelt good baking and tasted yummy when it was done. Definitely keeping this recipe! 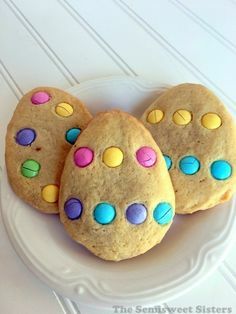 Thank you for a simple but delicious recipe. This looks so good! I want it right now! Haha Could you use cashew milk and vinegar in place of buttermilk? Turned out perfectly! Thank you for sharing! Hi Meli! Awesome! I’m glad it turned out for you! 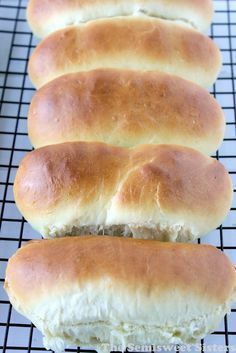 How do you store the bread after baking; counter, refrigerator? Hi Gene, I keep mine in a ziploc bag on the counter, we usually eat it all within the first 2 days. If you want it to stay fresh longer you can keep it in the refrigerator. Hi Chelsea, No it’s just regular all purpose flour.